By late spring in 1937, the WPA’s Federal Theater Project was under intense scrutiny for staging what some felt to be too many left-leaning labor plays. In Washington, there were rumblings that funds would be cut. 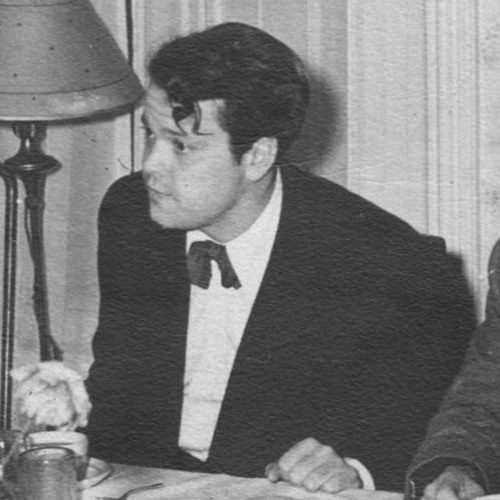 At the same time, Orson Welles and John Houseman were rehearsing a production of The Cradle Will Rock, a play written by Marc Bitizstein with deep anti-capitalist themes. The play took place in "Steeltown, USA.” It followed the efforts of Larry Foreman to unionize the town's workers and combat the wicked, greedy businessman Mr. Mister, who controls the town's factory, press, church and social organizations. Less than three weeks before the play was set to opened on June 23rd, The WPA temporarily shut down the project. Welles flew to Washington to argue his case. He failed. Next, he threatened to open the play himself. The government’s response was severe. A dozen uniformed guards took over the building in force. Project members arriving to sign in found their theater sealed and dark. The guards stood in the front of the house and at the box office. They also hovered in the alley outside the dressing rooms with orders to see that no government property was used or removed. John Houseman cleverly discovered an out. As US citizens, the actors were free to enter whatever theater they wished as audience members, and rise from their seats on cue and speak their lines in the aisles, so long as they weren’t on stage. Three hours before curtain time, The Venice Theater at 932 Seventh Ave on 58th Street, was selected. The entire throng of audience, press, and actors moved across town. The Cradle Will Rock played in the aisles. Blitzstein played his music on a rinky-tink piano that Houseman secured. It was a rousing success. The next day everyone was fired, but… they had all made the front pages. A few days later, Welles and Houseman were talking. Welles said, “why the hell don’t we start a theater of our own.” They just needed an on the-air guinea pig to take the chance.